Norway is an adventurer’s heaven, with summer's midnight sun bringing endless hiking, biking and fishing opportunities before giving way to winter's snow-covered expanse and the Northern Lights. 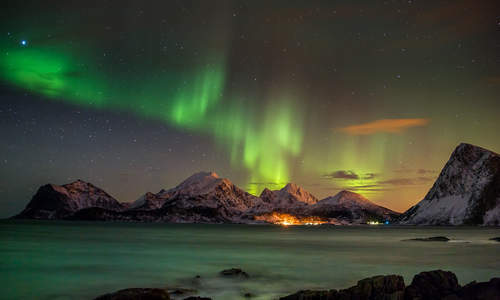 The country's remote reaches, essentially free of pollution, are one of the world’s best places to see the Northern Lights, particularly subarctic Tromso, situated 400km north of the Arctic Circle. After an evening lightshow, the city itself lights up with an exciting pub route and vibrant arts and music scene, with the jut of snow-covered mountains just visible in the surrounds. 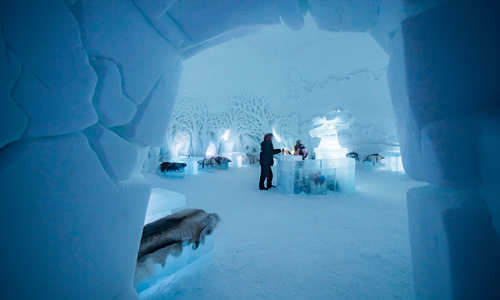 Combine a trip to Tromso with a stay at Malangen resort, where remote red timber cottages provide a cosy base from which to reindeer sled, snowmobile and – luck depending – catch sight of that famed aurora. Venture east and you’ll reach the remote Lofoten Islands, wonderful in the depths of winter or in the eternal midnight summer sun. A 160km jagged mountain wall frames fishing communities and straits, perfectly explored with hikes and cycle rides. Discover this wilderness with our Bodø and the Lofoten Islands itinerary, where your self-drive will see you stopping to explore charming coastal villages, hike around fjords and search for sea eagles on a boat trip. 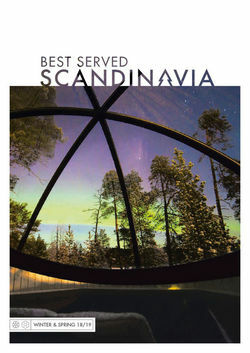 The region also boasts several designer hotel gems, most notably in the form of the Manshausen seacabins, lying a few hours south of the Lofoten Islands. These chic glass cabins lie perched above the sea in the midst of remote mountains – our Manshausen Seacabin break sees you spending your days mountain biking and fishing before enjoying traditional Norwegian fare, from freshwater fish to reindeer, before a soak in the outdoor hot tub. High above Norway’s northern reaches lies one of the world’s most remote places in the form of Svalbard, an archipelago between the mainland and the North Pole, the latter of which lies a mere 620 miles away. 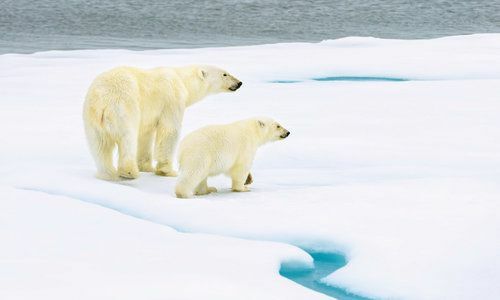 Polar bears outnumber people here, roaming past enormous peaks and glaciers edged by dark, rough seas. Despite its hostile environment, there are a number of thriving animal species here, including reindeer, Arctic foxes, walrus, whales, seals and seabirds. Explore the wilds with our Northern Lights in Svalbard itinerary, where you’ll enjoy snow safaris and dogsledding as well as hunting the aurora. The midnight sun brings opportunities for hiking alongside fishing villages and kayaking in lakes, perfectly discovered with our Svalbard & Tromso itinerary, which includes traditional Nordic saunas and wildlife-spotting boat trips. Head to the south of the country and you’ll discover most of Norway’s famed fjordland, where jagged mountains lie alongside colossal glaciers, from the deep gorges of the south all the way up to central Norway. The port city of Bergen is the buzzing gateway to the western fjords, including Geirangerfjord, one of the country’s most popular and frequently visited. Our Sognefjord, Nordfjord & Geirangerfjord itinerary combines a visit to three of Norway’s most spectacular inlets, where you’ll stay in a spa hotel, kayak among glacial lakes and hike along forested fjords. Further south, our Southern Fjords Self-Drive takes you to the third longest fjord in the world, Hardangerfjord, as well as the iconic Trolltunga (‘Troll’s Tongue’) and Kjeragbolten rock, the much-photographed 5-metre rock wedged in the mountain’s crevasse. 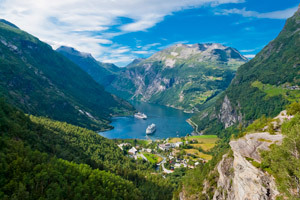 Cruises are also a spectacular way to explore Norway’s fjordland and the gems of the country, such as our Hurtigruten - Classic voyage north that sees you start among the fjords and pass the Lofoten Islands to end in Tromso's dramatic landscape. Norway's wild interior is approached via the vibrant capital city, Oslo, with a thriving café scene and boundless Scandi street style. This charming, laid-back hub is the perfect place for a city break, or just a welcoming introduction to the country before you set off on an adventure holiday. 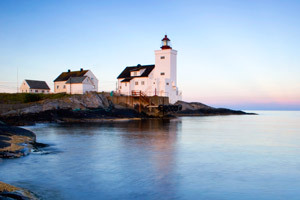 To immerse yourself head on our Oslo and The Atlantic Road self-drive, where you’ll explore the capital before driving the ultra-scenic Atlantic Road, where hairpin bends wind across exposed rocky crags and hug coastal mountains, stopping for picnics, fishing and whale watching. Oslo isn't the country's only city, of course. The antique cathedral city of Trondheim in central Norway is a lively coastal gem, ideally explored with a walk or cycle through the centre, taking in the 11th century cathedral. From here, you’re perfectly based to explore the rest of Central Norway such as the fabled Golden Road, tracing dramatic coastlines and bright green farmlands. 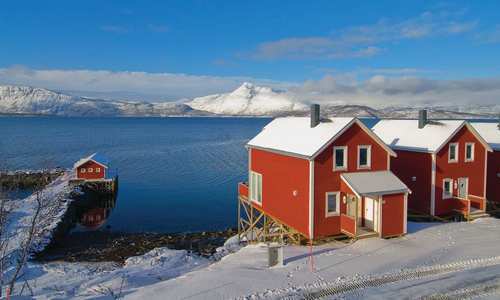 Our Polar Express, the Golden Road and the Lofoten Islands itinerary combines a picturesque self-drive and cruise in any season, starting and ending in charming Trondheim after exploring the mountains, churches and communities of central and northern Norway. Our custom Norway holidays linger long in the memory once you've visited, and we think it's safe to say you won't visit here just once. Get in touch with a tailor-made travel specialist today to begin planning your trip. 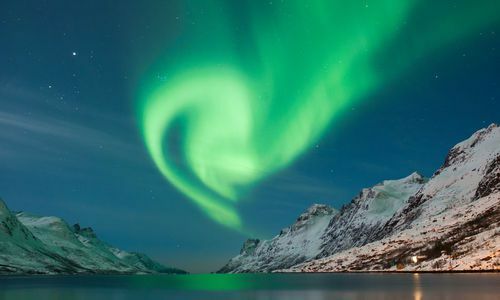 Lost among Norway’s stunning fjordland, 400km north of the Arctic Circle, Tromso is one of the world’s more isolated city break destinations, and is the perfect place from which to embark on a Northern Lights holiday. Spitsbergen, just 620 miles from the North Pole, is one of the world’s most remote places and one of the most reliable when it comes to spotting polar bears and the Northern Lights. 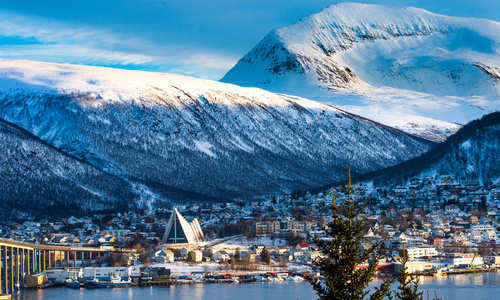 Tromso is the gateway to Norway's spectacular northern reaches; above the Arctic Circle seasonal changes in daylight and darkness give way to the Northern Lights in winter and Midnight Sun in summer. 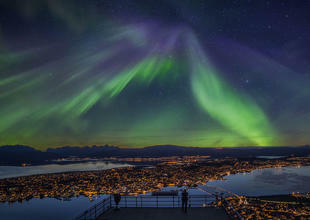 The remote Lofoten Islands are one of northern Norway’s most attractive and appealing destinations. 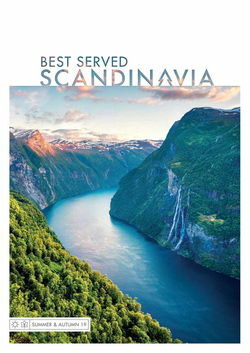 With their own pace of life and relaxed attitude, they’re ideal for a short break or extension to your tailor-made trip to Norway. 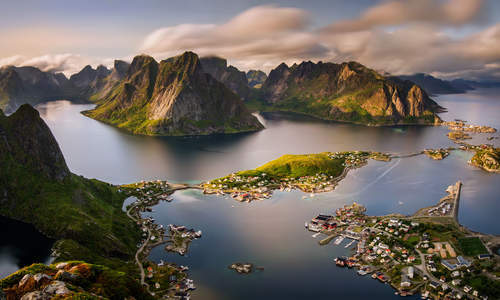 Norway’s fjords, strung along the west coast from the south as far as the Russian border comprise some of the most spectacular scenery anywhere in Europe. 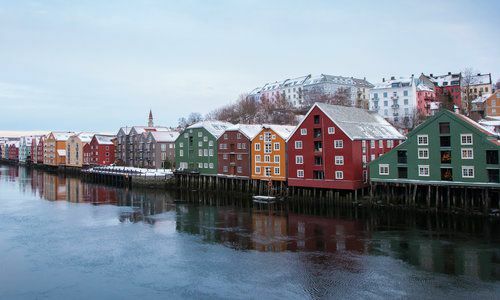 Travellers to central Norway typically base themselves in Trondheim, a lively coastal town whose location makes it a great inclusion in tailor-made Norway travel itineraries. While the north of Norway is wild and associated with winter, the south is a superb summer holiday destination that’s perfect for sailing, walking and swimming. 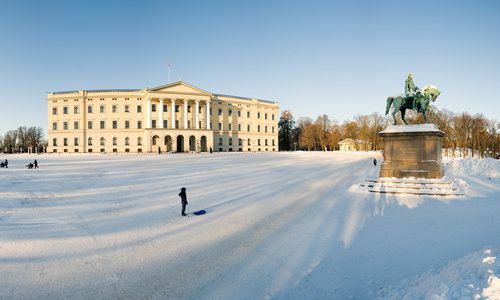 Oslo, Norway’s capital, is a culturally rich city full of museums, art and activities such as island hopping in the Oslofjord, making it a wonderful city or short break destination.